Users of iPad and iPhone will agree that it may be difficult to print text, images and even notes could be difficult without spending some money. However, the good thing is that there is hope because there are some ways that can help you print your files without breaking the bank. In this article, we present to you some of the free apps, tools and also tricks to help you print from your cherished Apple product. This is an amazing application by Microtech and the good thing is that it is free. It can allow you to use your iPad or iPhone to print from printers connected to the local network. It works in such a way that allows you to add a printer that has been detected or just type in the IP address of your printer. In addition, this app helps you in organizing your bookmarks in different folders. It also has the advantage of saving your browsing history in case you would like to print out a particular page later on. In addition, ePrint can also help you print your notes, cards, calendar pages plus your contacts. The program is simple and fast while offering some options as regards to paper and layout sizes. This is also an amazing app which you can download on your iPad, iPhone or iPod Touch. With this app, you can capture photos, rotate and crop them and the good thing is that it is just free. 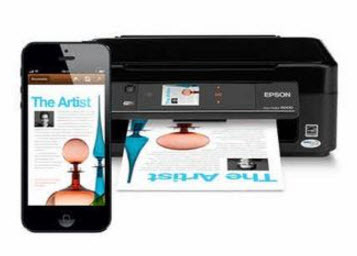 The beauty of this app is that you can wirelessly print photos, PDF files as well as text files to any HP inkjet printer that has been connected to a local wireless network. It is important to note that with this app, you do not have to configure the network or install any other drivers for it. One advantage the HP iPrint Photo 3.0 posses is its simplicity in terms of using it plus the added benefit of its compatibility to about 200 HP inkjet printer models making it one of the most versatile free app for your Apple devices.